VivoBarefoot has been making wonderful options for those, like me, who prefer to wear minimally built shoes that give your feet lots of room to move and feel the ground in a natural way. A challenge I’ve always run into is that when winter comes around, I’m forced to put on heavy boots that are the exact opposite of what my feet are comfortable in. Thankfully, the VivoBarefoot Scott boot is a minimalist shoe that is beefed up for colder weather use. The Scott boot uses VivoBarefoot’s signature wide forefoot shape that lets your toes splay naturally and comfortably. I felt no restriction of my foot’s movement when wearing the Scott as I do in traditional boots. 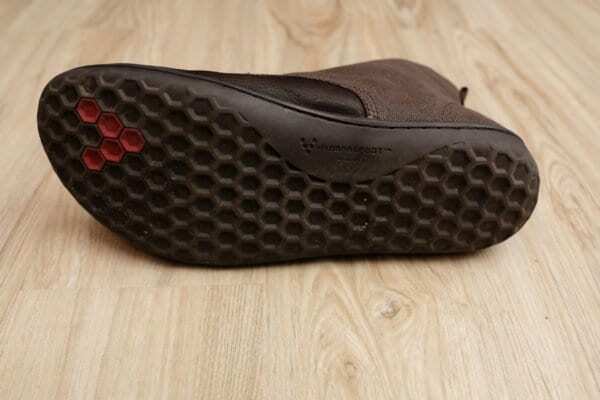 In general, VivoBarefoot’s casual line have a higher volume fit to them for maximum comfort, but they keep the midfoot reasonably stable so you aren’t slipping around. 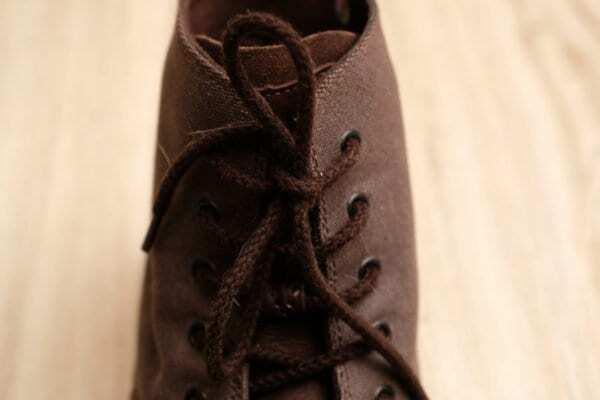 I did find that the laces could use more tightening ability because I had to go pretty much to the end in order to get them snug. 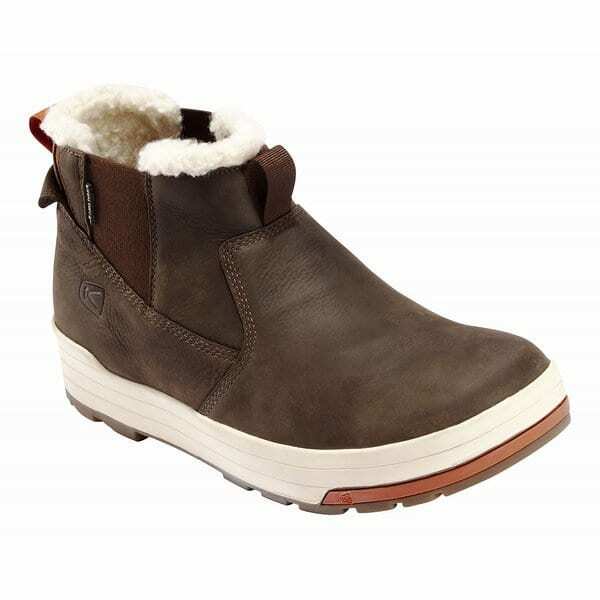 Other than that quibble, I loved the way the VivoBarefoot Scott boot fit with an almost slipper like feel and it was far superior to the clonking, over supportive impression I deal with throughout the winter in most boots. 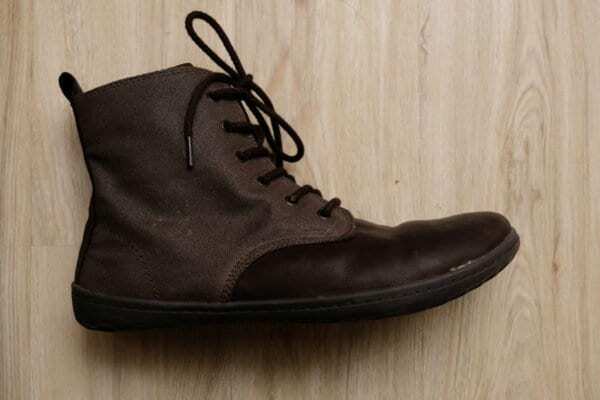 VivoBarefoot outfitted the Scott boot’s upper with premium components including waxed leather and canvas. Pittards Wild Hide tanned African leather is a beautiful and supple material that is naturally weather resistant and looks great. It provides the comfortable surrounding for your forefoot and will break in nicely. Weather tight canvas provides a really great contrast to the leather and it is coated in PU wax and backed with a weather proof layer to ensure protection from the elements. In some unusually hot and wet winter days, I never found any issues with slush or water getting in. Since these are intended for winter use, VivoBarefoot added some thermal insulation to the upper for some cold weather tolerance. There is always going to be a tradeoff when you want to keep something flexible and light weight but also insulated and there is a definite limit to where you can wear these. In the Colorado mountains, I found that they were great for the shoulder season when it was getting colder in the fall and early winter and will be good for the late winter/early spring. They aren’t going to get you through truly cold days if you live in a snowy climate. 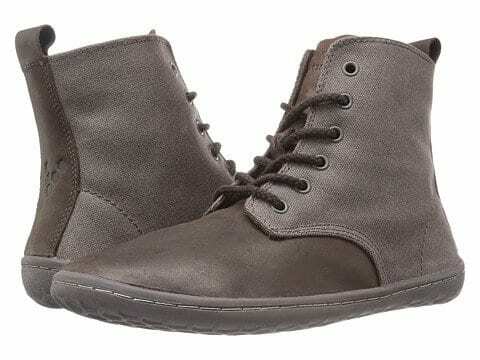 That said, I could see the VivoBarefoot Scott boot being perfect for city dwellers that don’t get quite as chilly. To further improve cold weather properties, the Scott has a thermal footbed that is thicker than standard for VivoBarefoot. 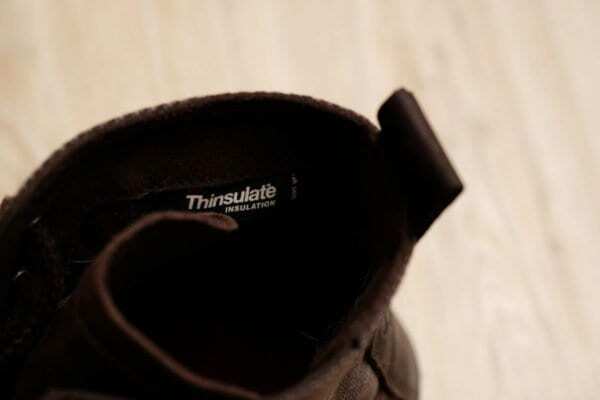 This is definitely needed since the catch-22 of a thin, flexible shoe is a lack of insulation from the cold ground. 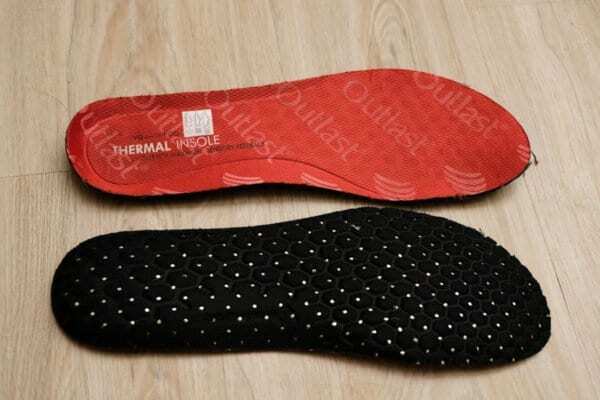 This insole helps but, short of a heating element, there is no substitution for a thick, insulated midsole and this influences that weather range I’ve already mentioned. The VivoBarefoot Scott uses a patented outsole called Pro5 to offer 5x the puncture resistance of a standard sole of the same thickness. I did not find any unusual wear patterns during my review time and I’m confident it will hold up pretty well. 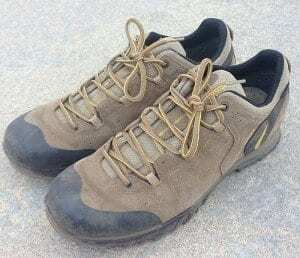 Speaking of the sole, the Scott boot uses what has become their off-road shoes’ standard mesh of hexagonal rubber reverse lugs. In theory, these allow the boot to move freely while still offering grip. In practice, the flexibility is certainly upheld but the traction is average at best. While they will be fine for most situations, I’d be careful around ice and packed snow. The VivoBarefoot Scott is somewhat of a breakthrough for those who like to keep their feet in minimalist shoes year round. They offer decent weather insulation and protection features to get you through mild to moderate winter conditions while still being very flexible, comfortable, and lightweight. You aren’t going to want to go for a hike in a foot of snow but they will get the job done on your commute. Style is subjective and the Scott boot has a decidedly clog-like but there is no shortage of premium materials and the canvas/leather mix is very nice. 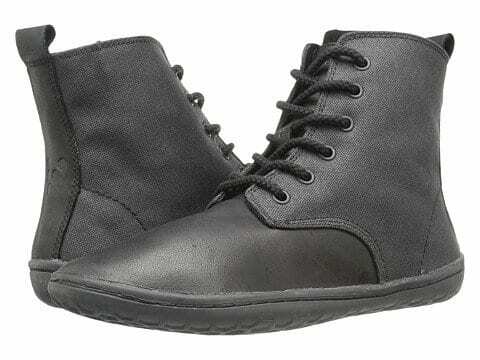 At $180, VivoBarefoot prices these boots on the higher end but they also are the only ones I know that are offering something in this category so I’m ok with that. Give the VivoBarefoot Scott a try if you want maximum comfort for your feet through the colder months.